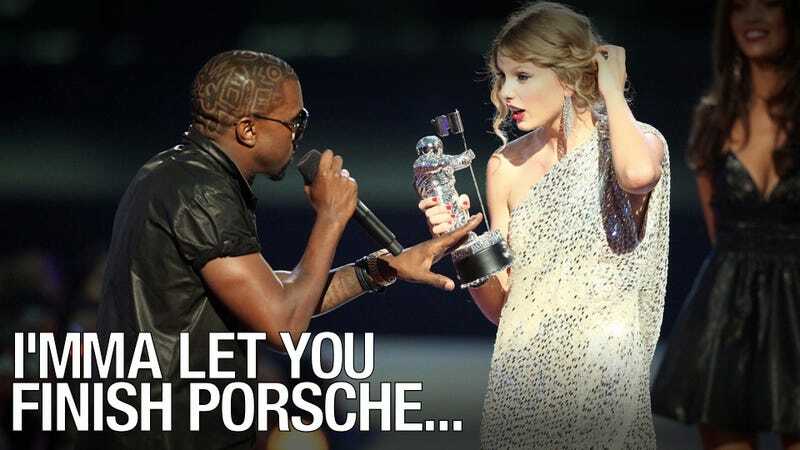 Porsche loves to claim it's the winningest carmaker in history. But that's a lie. Most people now race in video games. And now, thanks to Porsche's absence from Forza 4, most video gamers won't be racing Porsches to victory. It also confirms what we've long known: Porsche doesn't care about video game people. Why aren&apos;t there Porsches in Forza 4? The real culprit in this Forza 4 debacle isn't EA, despite holding a contractual agreement with Porsche requiring other companies to sub-license the cars from them. Although that's who everyone's blaming, they're simply acting like a business with an inferior product who has a strategic advantage over the two makers — Microsoft's Turn 10 Studios and Sony's Polyphony Digital — of superior ones. No, Porsche is to blame. Ultimately, Porsche owns the rights to the digital versions of their cars and have always taken the absolutely dumbest position with how they're portrayed. This is why players of Gran Turismo games race RUF vehicles instead of Porches and why Forza 4 players will now be forced to do the same. If Porsche wanted to repair this situation they easily could. EA may have a sweet deal with the German automaker, but it's costing ze Germans the affection of prospective buyers and ultimately hurting their brand. If, or when, they realize this they can either break the contract with EA or strong-arm them into sub-licensing the cars to both Gran Turismo and Forza. Porsche loves to claim they're the winningest carmaker in history because a fleet of 911s and Caymans race in what seems like every racing event in the world. But that's a lie. Most people race online, in video game simulators, and increasingly that's going to mean racing in vehicles other than Porches. We contacted Porsche and asked them to explain their position, but all they've been willing to do so far is confirm they have an agreement with EA. Nissan gets why video gamers are important. It's why they're letting digital video game racers compete in real racing events like the 24 Hours of Le Mans (and doing exceptionally well). There are mostly losers in this kind of agreement. EA loses because they look like a bunch of dicks and gamers lose because they're not getting access to the world class sports cars people actually race. But the biggest loser is Porsche. Kids logging on to race GT-Rs instead of 911s will grow up wondering why they should spend all that extra money to buy a Porsche when they can buy a car they've already fallen in love with in the digital realm. Only Turn 10, curiously, looks good in this whole mess. Their recent post about how they'd love to have the cars in the game, and how they want a deal, and how they're fighting for gamers makes them seem like the only party that actually cares. Keep up with Matt Hardigree, the author of this post, on Twitter or Facebook.